These pictures were submitted by Fynesse Graves. 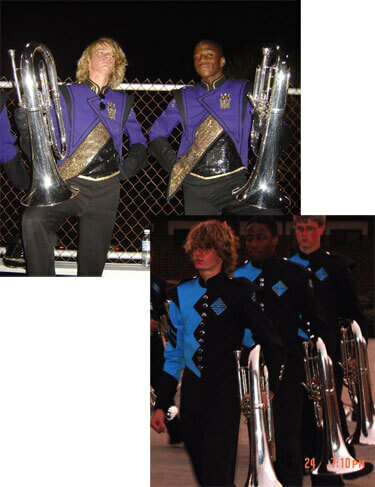 The picture in purple is of me and my best friend Thomas Baker(left) in our high school marching band. We are posing with our euphoniums right before our post-game performance. The picture in teal is of Tom and I getting ready to perform our first ever drum corps show with Teal Sound. We joined Teal Sound in 2006 and plan on touring in 2007 as well.